Your white, male, middle-aged character just got done shooting down an enemy with a powerful gun. He mutters a classic one-liner, which, combined with his brown hair and stubble, makes the audio clip sound extra-badass. As the defeated enemy drops their ammunition, your manly character grabs it and lunges forward into the third-person environment, continuing his epic, cutscene-filled journey. As most of you may have guessed, this is obviously a scene description from PlayStation 3 game Uncharted 2: Among Thieves. In the game you ... no, wait, maybe I was describing a sequence from Gears of War. 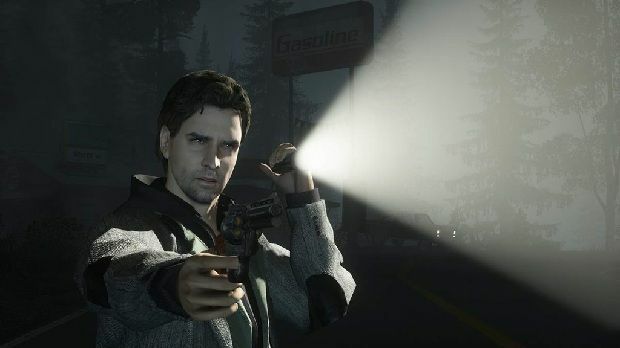 Or Alan Wake. No, it must have been Red Dead Redemption. Mass Effect? Assassin’s Creed 2? Maybe Resident Evil 5? Honestly, that description could fit them all. The main characters in almost every modern third-person action/adventure videogame are starting to look eerily similar. And this, I feel, is a problem. 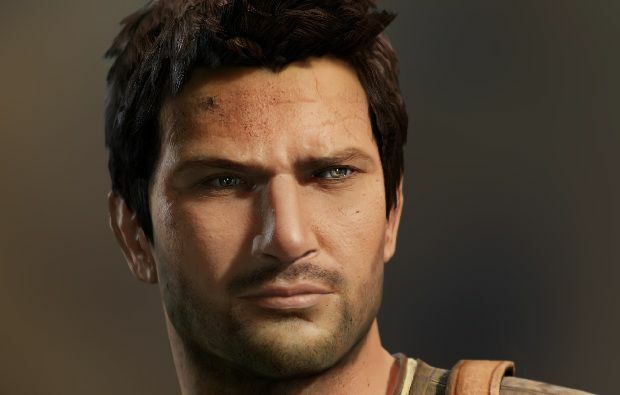 The games that these borderline generic videogame characters star in may be different, but their faces all remain the same: white, middle-aged men with brown hair and copious amounts of stubble. And, yeah, I just used the word “copious.” THIS FEATURE MEANS BUSINESS! Hit the jump to see why this odd new trend may be a sign of trouble for the videogame industry. First, a disclaimer: I am not here to claim that the videogame industry is lacking in any and all creativity by centering a large majority of its games around very similar-looking main characters. I still love playing videogames and can easily make an argument that some of these modern videogame releases (starring some of these generic characters) are some of the best I have played in recent memory. To claim the videogame industry is not creative would be a completely unfair and pompous stance. I am also not here to get extra dramatic and say something absurd like many videogame designers are racist and sexist and only have an interest in white characters as their male leads. That would just be ridiculous. So, what am I here to say? Well, I am just here to wonder aloud why there isn’t more diversity in the main characters of today. No accusations. No dramatic conclusions. I am just genuinely curious why almost every main character in every major modern action/adventure release has to look EXACTLY THE SAME! I can’t be the only one that thinks this, right? That’s a lot of games! And a huge handful of these are some of the most successful and popular videogames of this current generation! If only a tenth of these games decided to mix things up a little bit and either change the design of their main characters or, even more intriguing, molded a brand new character, I think the videogames on shelves today would be vastly more interesting. Look at Red Dead Redemption. To be fair, John Marston, the main character of Rockstar’s recent open-world epic, is very interesting and, even visually, stands out from a lot of other male videogame heroes. He has an old, worn face covered in scars and an intriguing (and, at times, moving) back story. For a white main character with brown hair and stubble, John Marston is definitely a step in the right direction. But think about the game’s setting: the Old West at the beginning of the 20th century. Now think about the enormous cast of characters John Marston meets throughout the entire game. He meets female prostitutes. He meets black soldiers. He meets Native Americans struggling to be accepted by the people of the big city. He meets so many different types of people with even more interesting and fascinating stories to tell. Yet Rockstar chose a main character who is a white cowboy. A white cowboy with brown hair and stubble. A white cowboy in the Old West. That creative decision is just so obvious! Again, I am not blaming or accusing Rockstar of anything. In fact, Rockstar is one of the best developers in the business for diversifying their main characters -- look at CJ in Grand Theft Auto: San Andreas or Eastern European immigrant Niko from Grand Theft Auto IV! I adored Red Dead Redemption and understand the story Rockstar chose to tell. I get it, I really do. Some stories and games are just better suited with certain main characters in mind. I just like to think about a “what if.” What if Red Dead Redemption hadn’t taken the brown-hair-and-stubble route of so many other games? The game could have followed a black soldier fighting for his family while struggling with the racism and violence of that time period (imagine what could have been done with the “Fame meter” in that case). 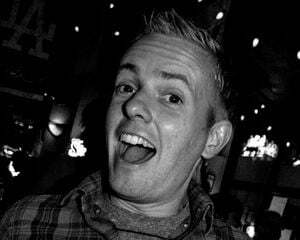 The game could have starred a woman -- wouldn’t it have been interesting to tell the game’s story from John’s wife’s perspective? The game could have starred a Native American (my vote for what would have been the coolest). Why must Native Americans in games almost always be relegated to stereotypical supporting roles? 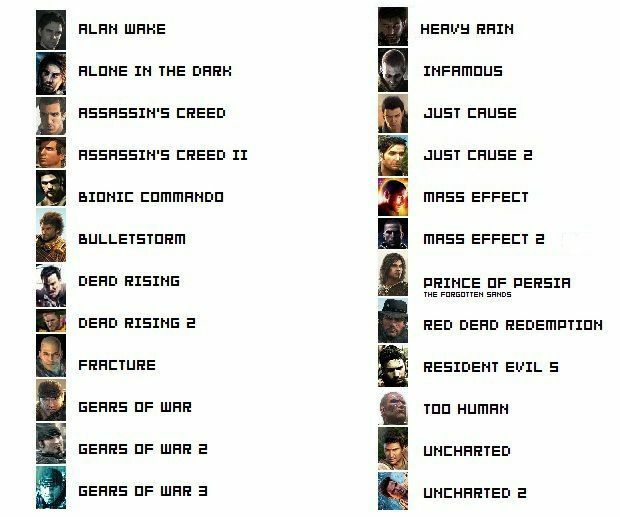 Again, changing the main character into someone that doesn’t resemble most of the games listed above would not have automatically made the game better. It might not even have made the game more interesting -- game design and gameplay obviously win out over aesthetics when talking about a videogame. But, at the very least, the game would have stood out in regards to who the player controls. And that may be more important than it sounds. It can be argued that in third-person action games, the main character is the least significant thing happening on-screen. In most of these games, the main character is more of a silent vessel that manipulates the environment and reacts to the things happening in the world around him. Sure, he pops in and out of the story during cutscenes, but, other than that, most players (including myself) pay more attention to the effect the main character has on the environment (meaning: the people, places, and things surrounding the main character) than the main character himself. In a way, these brown-haired and unshaven main characters are almost completely interchangeable. 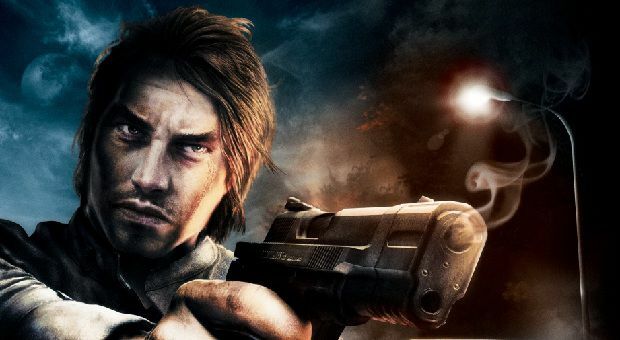 Take Alan Wake, Uncharted 2: Among Thieves, and Resident Evil 5 -- three recent examples that kind of inspired me to write this feature in the first place. 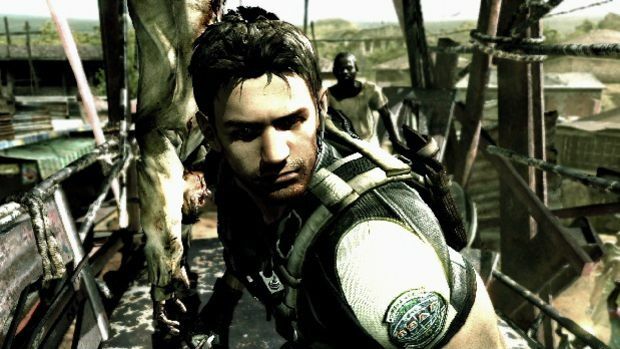 Aside from Resident Evil 5 hero Chris Redfield’s ginormous arms, all three of these guys are ALMOST THE SAME CHARACTER! LOOK AT THEM! I just find this so odd ... and a tad disconcerting. But why is this? Why are designers using this white male character with brown hair and stubble as a model for so many of their recent videogames? Frankly, I don’t know! And that’s where you guys (and this feature) come in. What are your thoughts? Is this blueprint of a man really the generic ideal that most gamers can relate to? Aside from the glorious six-pack and bulging biceps, I can’t relate to these guys at all. I don’t know about you, but I would much rather control a character with more physical imperfections and, well, interesting features than these blank, J.Crew catalog types. The only logical conclusion I can draw is that almost all of the videogames listed above are action/adventure-type games. 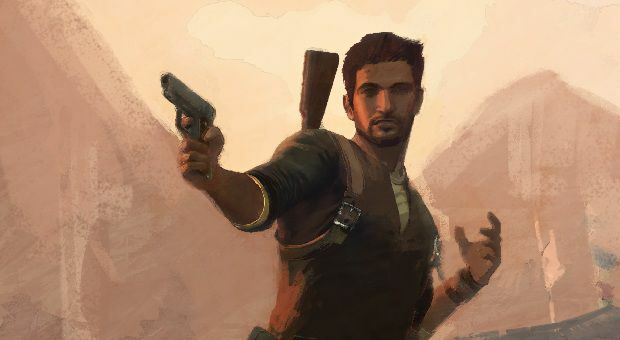 And, I am assuming, when some people think of the action/adventure genre in relation to movies and television shows, iconic characters like Indiana Jones and John McClane come to mind -- characters with, you guessed it, brown hair and stubble. Is that the reason for these recent visual carbon copies? If so, I still don’t approve. Videogames are an opportunity to break the mold with original, creatively rich ideas, not recycled stereotypes from things done in the past. 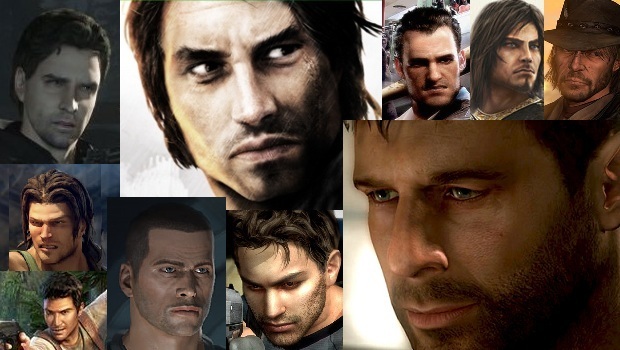 But these abundant main character similarities are a scary omen for things to come: When almost every single third-person action/adventure game that comes out stars a character that looks just like all the others ... it’s only a matter of time when the games are interchangeable as well. And that is something of great concern to me. What do you guys think? Am I being overdramatic or is this really a trend worth worrying over? Do you relate at all to these white male, brown-haired, unshaven main characters? If not, what kind of character types would you like to see star in more videogames? If it were up to me, Gears of War would have starred a grizzled old Indonesian woman with a prosthetic leg and a glass eye (received after a childhood Komodo Dragon attack, of course). Just try to tell me that wouldn’t have been amazing.